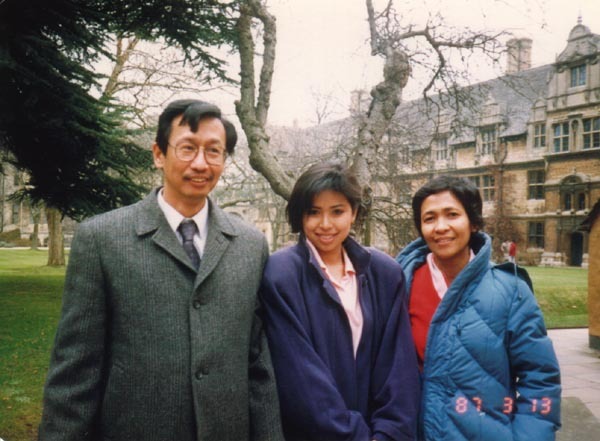 Back in 2009, a report shocked the majority of the Filipino public after it uncovered a surprising and intriguing relationship between two of the most powerful personalities in the country back then. The said news was linking a top government official to the leader of a rebel group, to which the former can hardly deny. 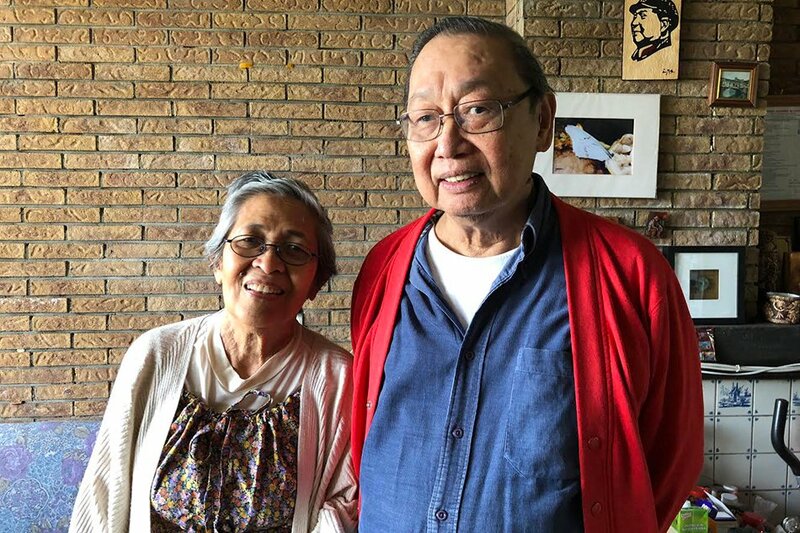 It was Joma Sison, the founding father of the CPP (Communist Party of the Philippines), who was being linked with the official who is a staunch ally of the Liberal Party of the Philippines, Sen. Leila De Lima, then-chief of the Commission on Human Rights. This made the already-controversial De Lima more controversial when the news broke out. Thus, following the report's emergence was the beleaguered exec explaining herself before the press. It was Pastor Alcover Jr., representative of the Alliance for Nationalism and Democracy (ANAD), who said that Leila De Lima is a relative of the wife of the Communist Party of the Philippines' (CPP) founding chairman, Jose Maria Sison. 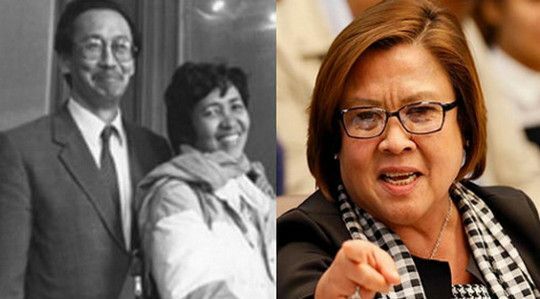 In her retaliation to the statement of the ANAD representative, the then-Commission on Human Rights (CHR) Chief Leila de Lima's reaction was: "You can't choose your relatives. And what's wrong with that? So what? Hindi naman 'yon ang issue." The former Human Rights Chief was interviewed on ANC's Top Story. There, she mentioned that she never denied being related with Juliet de Lima, her aunt, who happens to be the wife of the rebel group's founding father. "Well if you're asking about Juliet de Lima, the wife of Joma Sison, well I've never denied that. Many people know that the family of Juliet are our relatives. ", De Lima said. The official on the hot seat also explained that in her hometown, they, De Limas, are all relatives. "You see in our place, in Iriga City, all the De Limas there are our relatives. I even asked my father a few minutes ago, because I'm also not sure - I'm not sure as to the degree of the relationship - all I know is that [she is a] distant relative. And my father is also not very sure, [but] he said it is probably the third degree. Third cousin, they are third cousins. He is third cousins with Juliet and her siblings", she said. According to her, the raising of the issue by Alcover and Bantay party-list Rep. Jovito Palparan was "surprising." "I've never denied it, many people know about it, and so I'm surprised by this stance of Mr. Alcover and Mr. Palparan. All of a sudden they are raising this issue of my relationship with the wife of Joma. ", she explained adding that she considers this as "a nuisance thing" . Later, she mentioned that these people are only trying to "muddle" the case involving a supposed crime committed to a Filipino-American activist named Melissa Roxas. The latter was the very person who alleged regarding the crime done to her by military elements. 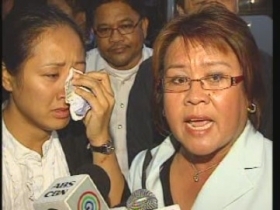 "They trying to muddle the issue of the alleged @bducti0n and t0rture of Melissa Roxas," De Lima stated. Not interfering with CHR works? With the Human Rights Chief saying "I don't think [it interfered with my work in the CHR]. I am sure the President knows about that... Why are they highlighting that? Why are they amplifying that? ", the chief of the Human Rights' Commission emphasized that the rebel group's founding father's wife, her aunt, has never interfered with her work in the commission, as far as her relative is concerned. Moreover, the Liberal Party official advised the two party-list representatives that they can check their family's ideology. "They can check out the ideology of our family, they can check out our family background. My father, Vicente de Lima, used to be a commissioner of the Commission on Elections during the time of Christian Monsod. My aunt now, Lilian de Lima, is the director general of the Philippine Economic Zone Authority. I have other relatives in government," the then-Human Rights chief said. Refuting the implication of what could be considered her having bias or sympathy towards the communists, she said:"All these allegations of bias... I've said this before, I'm biased, and I'm consistently biased in favor of human rights and in favor of human rights victims, because that's part of our mandate, the institution, the CHR,"
Futher, she added: "So we're necessarily always sympathetic to human rights victims, but it does not necessarily mean we're not objective when we do our fact-finding investigation,"
In addition, the same pointed out that "you can't choose your relatives" and that it's not an issue at all. "You can't choose your relatives. And what's wrong with that? So what? Hindi naman 'yon ang issue," she said. The ex-CHR chief narrated how she responded to Palparan's call about including the suspected involvement of the New People's Army (NPA) in the case of the Filipino-American activist. "When I had this exchange of discussions with Rep. Palparan, [I said] we can entertain this issue as a peripheral issue that would hinge on the credibility of Melissa Roxas, because she was denying that," De Lima explained. "We do not know that yet. It goes to the issue of credibility.. Right now, I could say that this case... would rise or fall on the credibility of Melissa Roxas, because if she's telling the truth, then she is the proof or the evidence of that @bducti0n and t0rture," she said. "It's important for her credibility to stay intact. So if something is proven that impairs or affects her credibility, then that would have an impact also on the overall case," said ex-CHR Chief De Lima, now senator. "We're still trying to find that out, although in yesterday's (Wednesday) meeting, Rep. Satur Ocampo (of Bayan Muna party-list) said that it could be Maita Santiago of Migrante International, another activist based in Canada, but we do not know that really," she said. According to a report, the two party-list representatives had released a video where Roxas was in the company of suspected members of the New People's Army. Meanwhile, Roxas however denied the said claim.